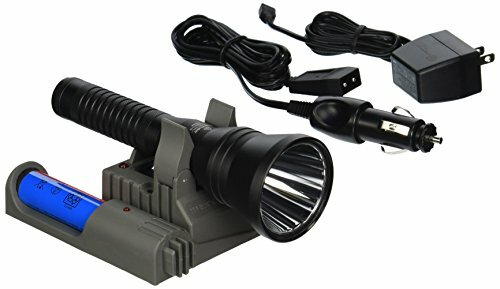 Streamlight Strion 74301 handheld rechargeable compact flashlight with 1 holder/match-12v DC charger. Made of the highest quality materials. You Asked, we listened! our dual switch technology is now available in the strion DS HL for maximum illumination with a wide beam. Strobe for disorienting or signaling your location: runs 2.5 hours. C4 LED technology for extreme brightness. Lithium Ion battery is rechargeable up to 1, 000 times; fully recharges in 3 hours. Clamp style charger holder with digital control circuit that prevents over-charge; LED indicates charge status. Piggyback charger (sold separately) doubles your run time by charging a spare battery (sold separately) so you can keep on working; reduces down time. IPX4 water-resistant; 2M impact resistance tested. 6000 Series anodized machined aircraft aluminum; borofloat high temperature glass lens. Anti-roll head prevents the light from rolling away when you set it down. 6.33-Inch (16.08 cm); 5.4-Ounce (153 grams). serialized for positive identification. 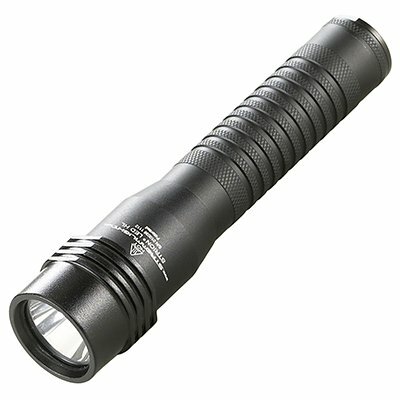 *Note* this listing is for the 74610 strion rechargeable flashlight only. The charger is not included with purchase. You Asked, we listened! Our dual switch technology is now available in the Strion DS HL for maximum illumination with a wide beam. 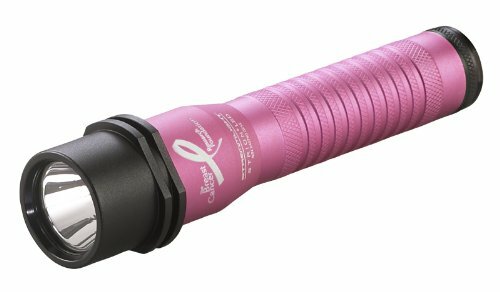 Excellent handheld, compact, rechargeable flashlight. Strobe for disorienting or signaling your location: runs 2.5 hours. C4 LED technology for extreme brightness. Lithium Ion battery is rechargeable up to 1,000 times; fully recharges in 3 hours. Clamp style charger holder with digital control circuit that prevents over-charge; LED indicates charge status. Piggyback charger doubles your run time by charging a spare battery (sold separately) so you can keep on working; reduces down time. IPX4 water-resistant; 2M impact resistance tested. 6000 Series anodized machined aircraft aluminum; borofloat high temperature glass lens. Anti-roll head prevents the light from rolling away when you set it down. 6.33-Inch (16.08 cm); 5.4-Ounce (153 grams). serialized for positive identification. Experience big savings with the Strion LED rechargeable flashlight. Powerful and economical, the Strion LED delivers bright light and long run times. Durable C4 LED technology, with a 50,000 lifetime, brings piece of mind that your light will keep on shining even if dropped. It won't break or burn out - no more time or money spent on searching for and purchasing replacement bulbs. LED technology combined with a rechargeable lithium ion battery delivers longer run times. Costs are reduced and fewer batteries enter the waste stream. Store the Strion LED in in its charger when not in use and the light will already be ready when you need it. Multi-function, push-button tail switch. One-handed operation of high, medium, low, or strobe modes. Optimized electronics provides regulated intensity Lithium ion battery is rechargeable up to 500 times; fully recharges in 3 hrs. IPX4/water-resistant; 2M impact-resistance tested Durable anodized aircraft aluminum construction 5.9; 5.22 oz. Get extraordinary brightness in a wide beam pattern with the strion LED HL. 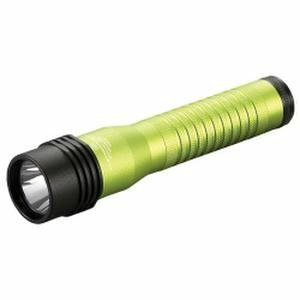 This rechargeable, high lumen flashlight provides maximum illumination for searching a large area, with 500 lumens and 200 Meters of beam distance. C4 LED technology, impervious to shock with a 50,000 hour lifetime. Lithium Ion battery is rechargeable up to 1000 times; fully recharges in 3 Hrs. Clamp style charger holder with digital control circuit that prevents over-charge; LED indicates charge status. Piggyback charger doubles your run time by charging a spare battery (sold separately) so you can keep on working; reduces down time. Features a dual power input – USB port or "traditional" AC/DC charging. Integrated micro-USB interface specifically designed to guide the Plug into place for a secure connection. USB port provides a convenient charging option using modern devices (power input only; does not charge USB devices). IPX4 water-resistant; 2 meter impact resistance tested. 6000 Series machined aircraft aluminum with anodized finish borofloat high temperature glass lens. Anti-roll head prevents the light from rolling away when you set it down. Grooved barrel adapts to long gun mount. 5.9-inch (14.99 cm); 5.2-Ounce (148 grams). serialized for positive identification. 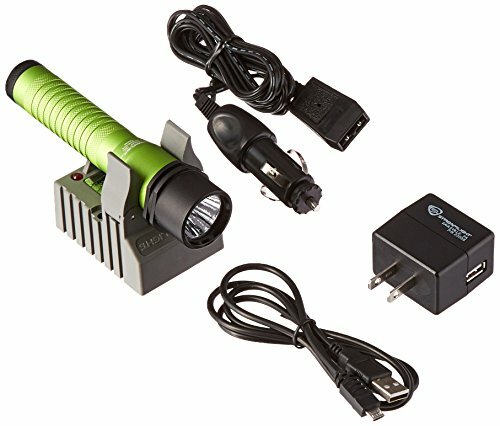 Looking for more Strion Rechargeable Flashlight similar ideas? Try to explore these searches: Dishwasher Safe Stainless Steel Tongs, Anti Aging Vitamin C Moisturizer, and Tumblers Bathroom Accessories. 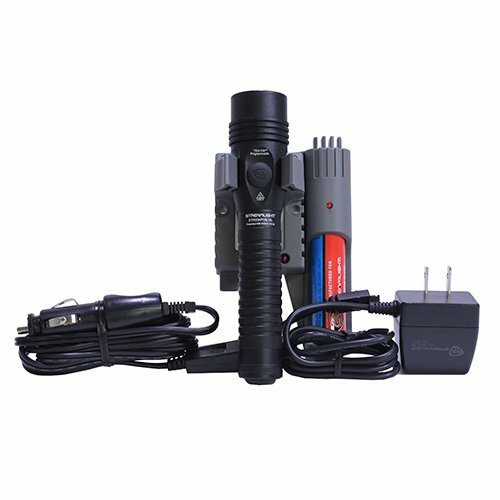 Look at latest related video about Strion Rechargeable Flashlight. Shopwizion.com is the smartest way for online shopping: compare prices of leading online shops for best deals around the web. 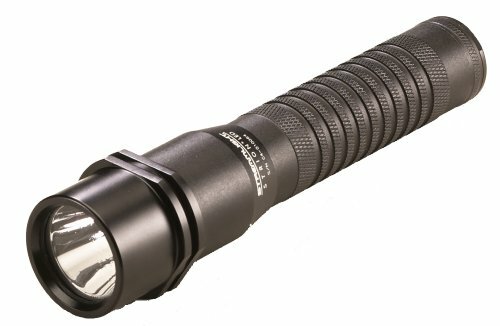 Don't miss TOP Strion Rechargeable Flashlight deals, updated daily.